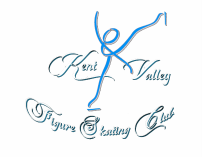 The Kent Valley Figure Skating Club is a non-profit 501C (4) Organization and member club #829 of the United States Figure Skating Association. Our primary focus is to improve, encourage, and advise the sport of figure skating for all ages and abilities. U.S. Figure Skating is the national governing body for the sport of figure skating in the United States. U.S. Figure Skating is a member of the International Skating Union, the international federation for figure skating, and is a member of the U.S. Olympic Committee.